Technology is ever evolving, and the need to understand basic computer skills is increasing. Are you new to computers or have limited exposure? The Internet and Computing Core Digital Literacy Certification program provides students and job seekers with a foundation of knowledge needed to succeed in any environment that requires the use of computers, devices, or the Internet. CCI Learning’s IC3 Global Standard 5 (GS5) courseware fully prepares students and job seekers for the IC3 Digital Literacy Certification. Targeted toward new computer users‚ it introduces what digital literacy means and what can be accomplished using a computer. Learn essential skills for computer literacy using application programs commonly found in school and business environments, and focus on the most critical elements that drive technology today. Digital literacy is becoming a requirement for success in almost any field. The IC3 Global Standard 5 is the most up-to-date internationally recognized standard for digital literacy. 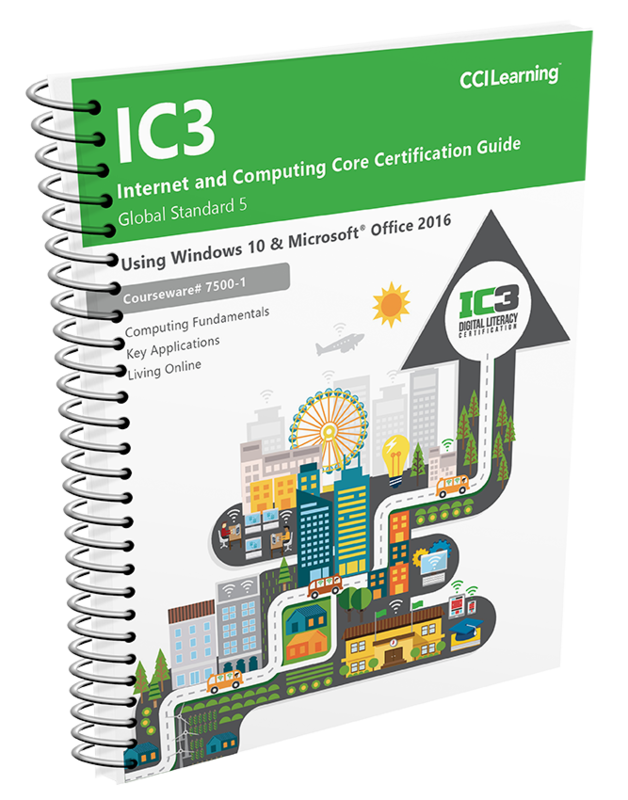 Like its predecessors, the IC3 Global Standard (GS5) certification is comprised of three exams: Computing Fundamentals, Living Online, and Key Applications. Computing Fundamentals covers a foundational understanding of computing. Key Applications covers popular word processing, spreadsheet, and presentation applications and the common features of all applications. Living Online covers skills for working in an Internet or networked environment. By earning the IC3 Digital Literacy certification, learners are given the tools to succeed in the classroom and the workplace. How Does the Global Standard 5 Differ From the Global Standard 4? CCI Learning provides Teacher Resources as part of the complete Internet and Computing Core Global Standard 5 (GS5) Courseware Solution. Our Teacher Resources enhance the learning environment by providing useful tools to prepare and enhance course delivery, saving you valuable class preparation time. © 2019 CCI Learning. All Rights Reserved.